I love going for a drive even though I’m a typically indoor type of person. It gives me a great joy to take a long drive with a USB stick being full of my favorite music. It’s the bon season now, so I visited my family graves yesterday early in the morning, then I went on an outing to Isahaya city next to Nagasaki city. Isahaya city, which is the home ground of FC V. Varen Nagasaki and known as the hometown of an actor Yakusho Koji, is a nice place being blessed with nature. The spot I visited this time was “Todoroki Ravine” whose water is selected as one of the best one hundred in Japan by the Ministry of the Environment. It’s a good spot where you can enjoy cool air, and you can go there in an hour or so by car from Nagasaki city. 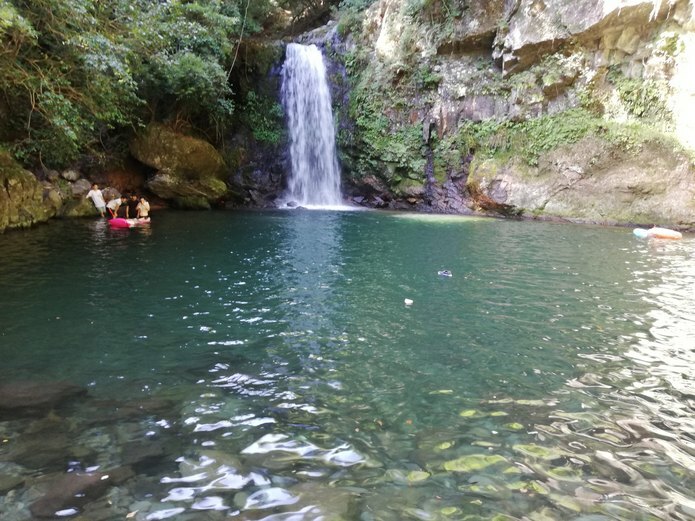 Surrounded by the abundant greenery, you can enjoy the refreshing cool air in many way like swimming, mountain stream fishing, or “somen nagashi” which is a funny style of eating noodles, that is, you put a kind of Japanese noodles in a stream and then pick it up to eat. Just looking at these activities is also good enough for me. A special food in Isahaya city is the dishes prepared with eel. There are many restaurants serving that dishes along the Honmyo river which runs through Isahaya city. Eel is so expensive recently that I don’t have meals using it usually, but I gave it a try this time after a long time. 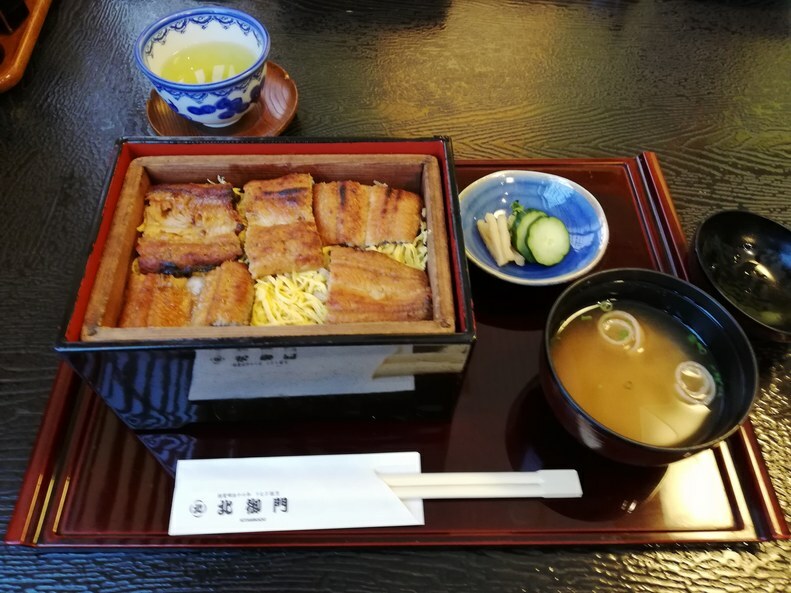 The characteristic of Isahaya’s eel meals is that it is not only grilled but also steamed and served on a raku ware which contains hot water so that you can enjoy it being steamed. This time I had a different type of it called "Seiro Mushi", but It was also incredibly delicious.